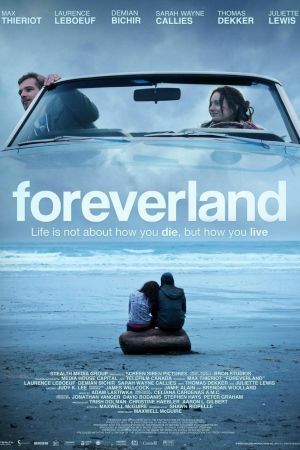 FOREVERLAND tells the story of Will Rankin (Thieriot), a young man stricken with Cystic Fibrosis, a terminal illness, who is tasked with delivering his friend’s ashes to a legendary healing shrine in Mexico. Joined by the sister of his fallen friend (Leboeuf), Will embarks on an epic journey down the Pacific Coast Highway to the desert heart of Baja, encountering a memorable cast of characters along the way. In the spirit of Into the Wild and Little Miss Sunshine, it’s about dreams and the courage to pursue them.